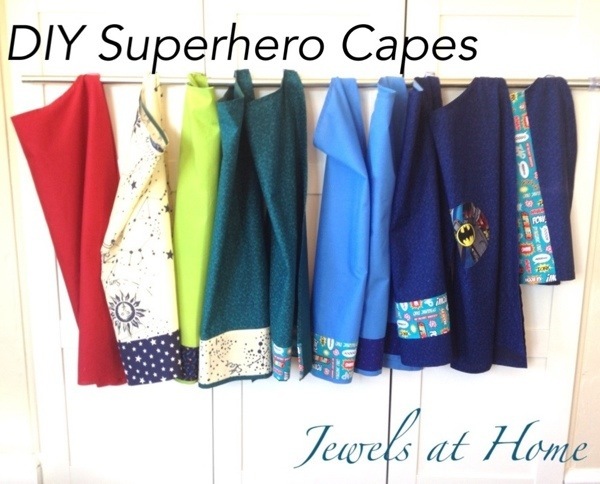 For J’s recent superhero birthday party, I decided to make capes as party favors. I always try to make one bigger gift instead of goody bags with lots of small items. 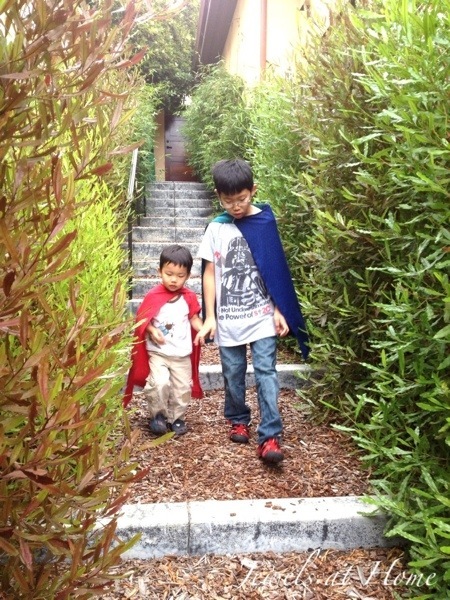 The capes were very simple to make, though I will admit that making them for 10 kids took longer than I anticipated. 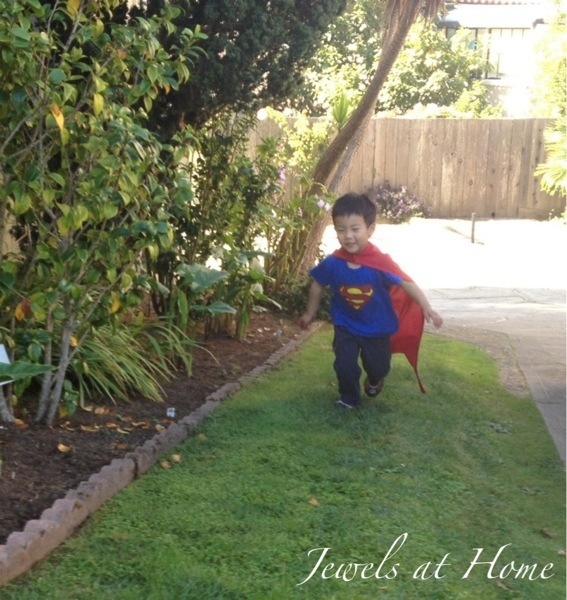 It all worked out, though, and it was adorable to see all the little heroes running around our house and yard in their super capes! 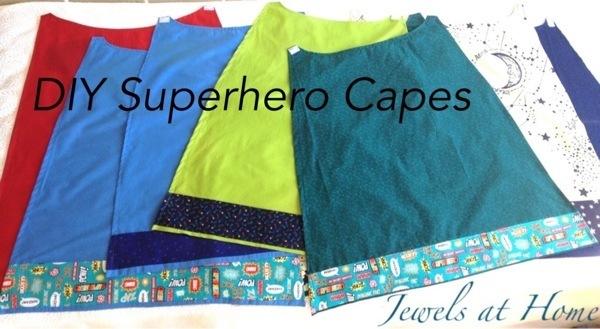 J and L wanted to be Superman and Batman, so I made them capes specifically for that, but the rest of the capes were a mix of fun colors and patterns. 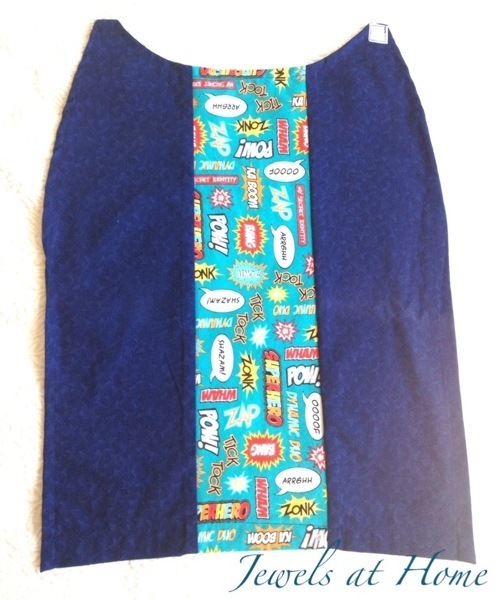 For the body of the cape, I cut a piece of fabric that was 32″ long. It was 29″ in wide at bottom, tapering to 19″ wide at top, and I cut a curve for the neckline. 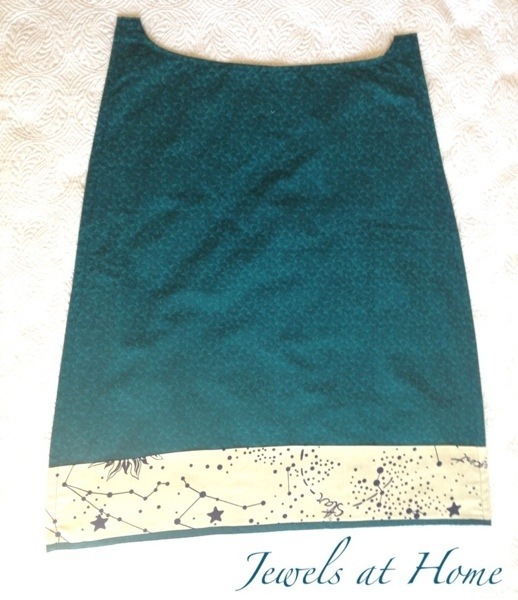 The neckline is finished with bias binding in a matching color to the body of the cape. For the accent fabric, I cut a strip of fabric that was 5″ wide and 29″ long. I used a short section (about 1 inch) of velcro for the top. 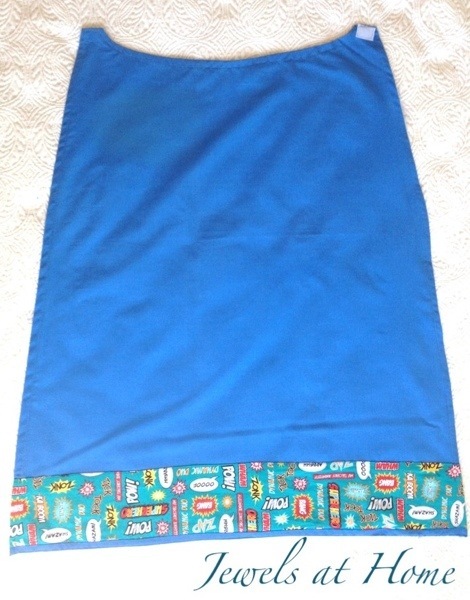 I ironed down a 1/2″ hem on both long sides of the accent fabric strip and sewed it to the body of the cape, near the bottom edge. Finally, I added velcro to the top corners to close the cape. I love the variety of each of these. I even made a little baby version for my “niece” C.
C’s baby cape is so cute! 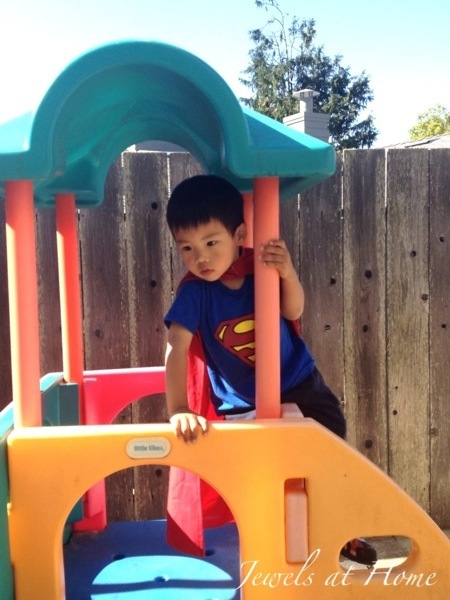 Birthday boy, also known as Superman! 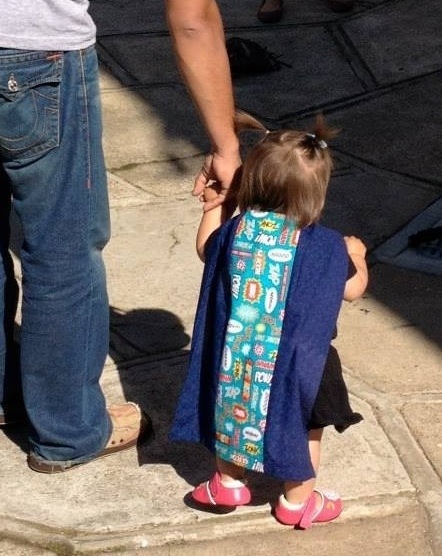 The kids have been wearing their capes all around our home and beyond. 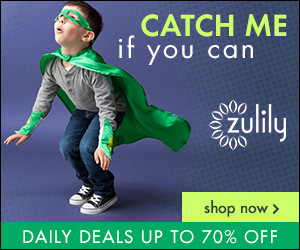 Have fun saving the world, little ones! Happy birthday, J!